What do key cabinets, electronic key tethers and IOT (Internet of Things) have to do with key loss prevention? Check out the February edition of Locksmith Ledger International’s article on Institutional Application of Key Cabinets. The article details a variety of institutions from colleges and universities to health care facilities to government agencies and their unique requirement for key control. A variety from simple to complex key cabinets are also featured with cost per key ranges and features to aid in selecting the best key cabinet to provide security to valuable master keys. The article also features the Gravity electronic key tether which is a beneficial supplement to key cabinets. While the key cabinets secure master and critical keys while not in use, the Gravity secures the master and critical keys to the user and prevents key loss while in the field. The combination of a key cabinet that fits the needs of the institution plus the utilization of the Gravity by personnel in the field provides the ultimate in key control protocols. The Tile Mate a small plastic square you hook to things likes your keys (among anything else you want to attached it to) and supposedly is designed to prevent key loss . However, you must have a cellphone with you and have the smartphone app. It is only AFTER you mark your keys as lost on your cell phone app, that the chip in the tile will ping (audible alarm only) your phone when you’re within 150 feet of the lost keys. So in order for the Tile Mate to work, (1) you have to have a cell phone and (2) use the app AFTER you notice your keys are missing. Also, you can’t change the batteries and once they are dead, you must get a new Tile Mate. Perhaps a decent solution for your personal keys but if you are responsible for master or critical keys at work, the Tile Mate is inadequate. With the Gravity, you don’t need a cell phone, and you are notified via THREE alarms (vibration, audible and strobe light) BEFORE you are separated more than 10-15 feet from you keys. In summary the Gravity is the ONLY preemptive electronic key tether device on the market. It alarms three ways BEFORE you lose your keys. Batteries last 6-9 months and the Gravity comes with a one year warranty. The Gravity is an industrial grade product for janitors, security officers and building engineers – anyone that is responsible for master or critical keys. Complaint forms via the Freedom of Information Act were obtained by the Chesterfield Observer showing Chesterfield Virginia school system staff sometimes has no knowledge of where master keys are. In addition to unsecured exterior doors, the documents suggest “key control” also has been an issue for the custodial contractors. One entry notes a school’s set of master keys disappeared and wasn’t found for more than two weeks. Keys to interior and exterior doors also have been misplaced at multiple schools. 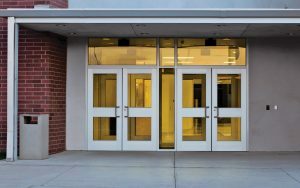 Under terms of the contract all four custodial companies signed in April, the school system is permitted to charge $250 for each exterior door the contractors’ employees fail to lock prior to completing their assigned duties and leaving the building. Tim Bullis, a spokesman for the school system, said in an email last week that it “continues to work on a corrective action plan,” but didn’t offer specifics about what such a plan might entail. The inability to secure exterior school building doors overnight is not a new issue in Chesterfield. The school system’s first two custodial contractors each were cited for dozens of such instances, among many other performance-related problems they encountered over the first four years of the outsourcing program. Comments: Unfortunately, this issue of lack of adequate key control in school facilities is a common one that we frequently hear of. Any Board of Directors, school Principal or staff, or concerned parent may contact me directly at [email protected] to receive a free copy of “The Key to Keys” which outlines a prudent and cost-effective protocol for properly securing keys to protect our schools and students. For years there has been a prevailing myth that card keys are the solution to preventing the serious consequences to losing master keys. Those who are seasoned property/facility managers know better. There is always a physical “brass” or “hard” master key behind every card key to ensure against demagnetization of card keys, power outages and computer failures. Now there is another threat to card key systems – hacking. 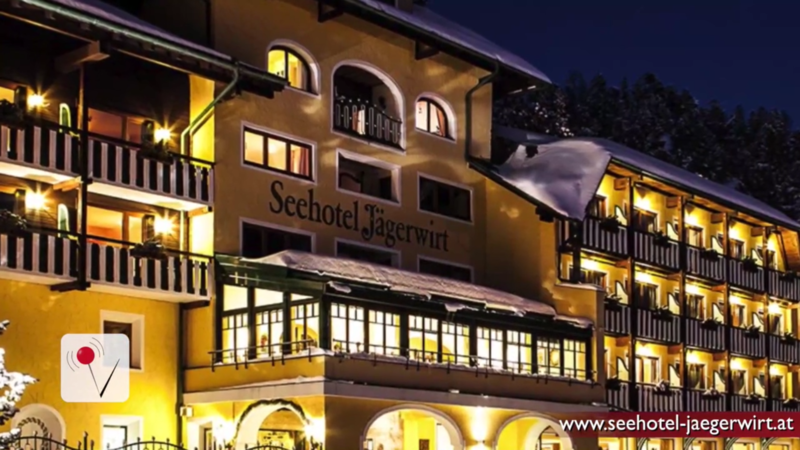 Earlier this year, Finnish security experts discovered a software flaw that allowed them to create a master key card from any hotel key card, even expired ones! To find out why a surprisingly large number of hotels are sticking with metal keys instead of card keys click here. The Gravity is the perfect addition for any facilities key control program. View The Gravity’s fail-proof key control here. A man and a woman were arrested last week in Granite Bay, accused of stealing the identities of at least 39 victims, Placer County Sheriff’s Office officials said Saturday in a news release. Toni Tinay, 23, of Pittsburg and 36-year-old Matthew Core, of Vallejo, were stopped at the intersection of Sierra College and Douglas boulevards, near Safeway, by sheriff’s deputies who noted their vehicle as suspicious, according to the news release. With Tinay having warrants in two Bay Area counties, deputies searched the vehicle. The car contained checks, credit cards and USPS master keys — all stolen, the Sheriff’s Office said. Sorting through the stolen checks and credit cards, officials determined there were 39 victims of identity theft. Core and Tinay were also in possession of illegal drugs and a credit card re-encoder. According to the sheriff’s officials, this is a device that can transfer credit card information from a legitimate card onto the magnetic strip of a different card. An internet search shows that a re-encoder can cost anywhere from $20 to $200, depending on the quality and purpose of the device. USPS master, or “arrow,” keys allow access to things like apartment lobbies, communal mailboxes and more. Federal law states that unlawful possession of a USPS arrow key can carry punishment of up to 10 years in prison. Core and Tinay were arrested on suspicion of identity theft, with bail set at $375,000 and $160,000, respectively. Comment: While this article provides no information on how the thieves obtained the apartment building master keys, we can presume there was either a breach in key control protocols or their key control program was not fully developed. In order to verify that your key control program is adequate and master keys are not in jeopardy of being lost or stolen, please refer to Chapter 7 of “The Key to Keys” by Randy Neely which details the Components of a Successful Key Control Program. – Anne Gareis, Director of Operations for Tether Technologies. Is Your Facility at Financial Risk from an Employee Misplacing Keys? Did you hear about the Casino employee that misplaced their keys resulting in a nearly $200,000 theft? See our previous post for the full article. 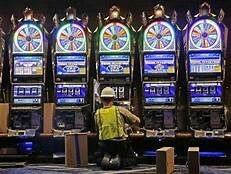 Is your Casino or facility safe-guarded from this type of incident? 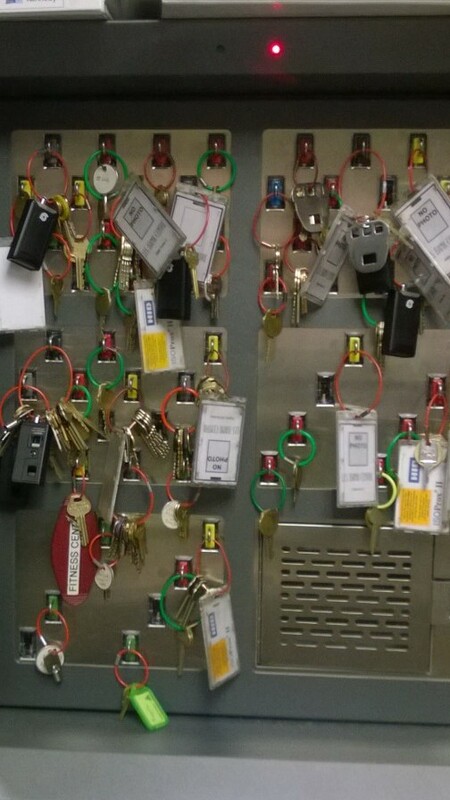 Unfortunately, the most expensive Electronic Key Cabinets or RFID Key Tracking would not have prevented the employee from misplacing keys that led to this theft. The good news is there is a solution that eliminates human error and completely prevents an employee from losing or misplacing critical keys. The solution is the Gravity® key tether, the only industrial grade, digital tethering device that provides three types of alarms (85 dB audio, vibration and LED strobe light) when keys are separated 10-15 feet from the user. Having your team utilize the Gravity® will prevent an embarrassing and costly theft at your Casino or facility. Get the Casino House Advantage and Fix the Odds with Gravity® and provide an extra layer of protection to your current key control protocols! (NEWSER) – Misplaced keys usually don’t result in federal charges, but that was apparently the case in Alabama. 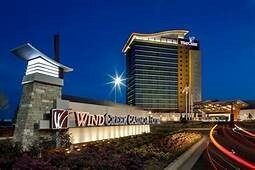 The Montgomery Advertiser reports Timothy Dean Pettiway has been charged with theft from a gaming establishment on Indian lands after allegedly stealing $192,800 from Wind Creek Montgomery casino on Aug. 10. Federal prosecutors allege an employee left keys to two kiosks on top of a machine and that Pettiway retrieved them and used them to remove the box of $100 bills from kiosks 8 and 19. He allegedly took the boxes one at a time into a bathroom that his nephew, Jory D’Michael Travunn Dumas, was in; the emptied cash boxes were later found in a stall. SEATTLE — Corrections officials who investigated the April escape of two violent patients from Washington state’s largest psychiatric hospital say they discovered a list of mistakes, blunders and deceptions at what should be a secure facility. 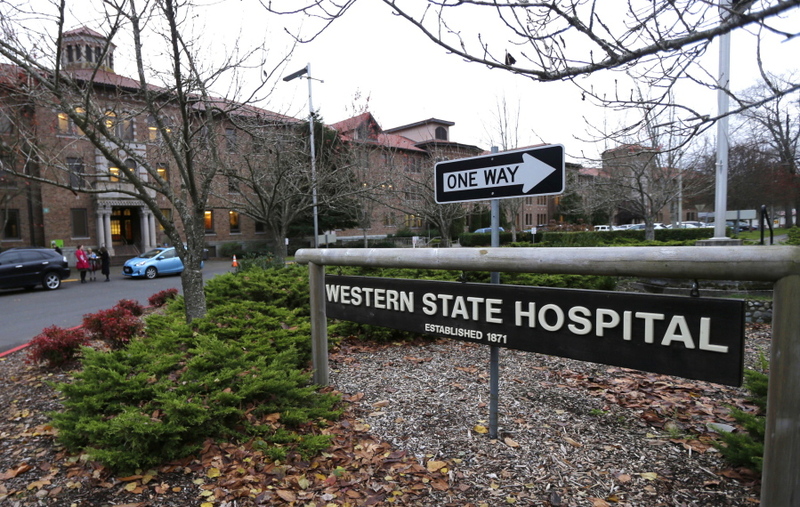 Investigators tasked with assessing security at Western State Hospital determined there were no routine inspections; 25,000 master keys were missing; thousands of tools used to open patient windows had been misplaced; and management was unwilling to recognize that failing to focus on security puts patients and the public at risk, according to a report obtained by The Associated Press in response to a public records request. The report said that attitude was the main cause of the April 6 escape by Anthony Garver, who was confined amid allegations that he tortured and killed a woman, and Mark Alexander Adams, who has multiple domestic violence convictions. Adams was caught the next day, but Garver made it across the state and was captured several days later. 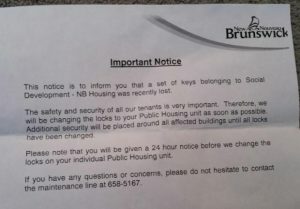 NB Housing hurried Friday to replace locks and add security at housing units in Saint John after a set of custodial keys, including a master key capable of opening hundreds of individual apartments, disappeared more than 35 days ago. Sgt. 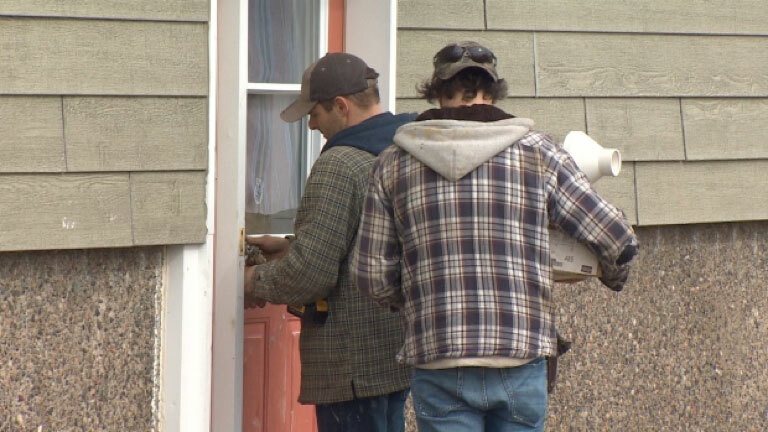 Charles Breen of the Saint John police said NB Housing reported the lost keys to police on March 22, but they had been missing since Feb. 13. In a later email, Breen clarified that a police report on the keys did not indicate that NB Housing knew they were missing Feb. 13. The cost of fixing the problem is not known. CBC News reached out to Lenny England, 54, who was the custodian responsible for the lost keys, but he said he was unable to comment. 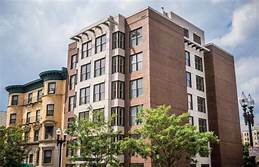 Brenda Rathburn, a tenant who was aware for quite a while that the keys were missing, said it was a comfort to see the situation being addressed, but she felt the delay required some explanation. The Department of Social Development did not acknowledge there had been a delay. A spokeswoman said the department takes security seriously and it took immediate action after learning about the master key. Spokeswoman Anne Mooers did not say how many units were affected or where they were located, other than in Saint John. Tenants received undated notices in their mailbox that informed them a set of keys had been recently lost. “The safety and security of all our tenants is very important. Therefore, we will be changing the locks on your Public Housing unit as soon as possible,” said the notice.